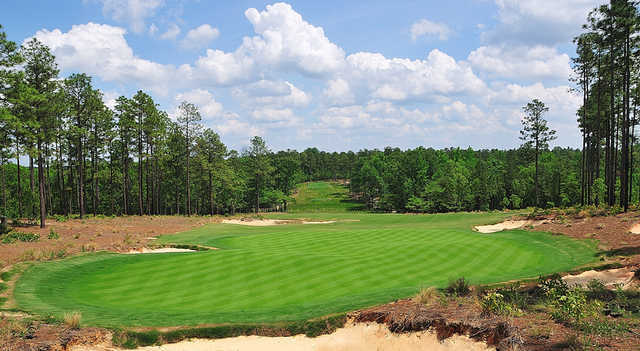 Dormie Club, West End, North Carolina - Golf course information and reviews. 3/10 - Coore and Crenshaw carved the Dormie out of part of the old Pinehurst Hunting Club property, about the same time that they were rennovating Pinehurst #2. 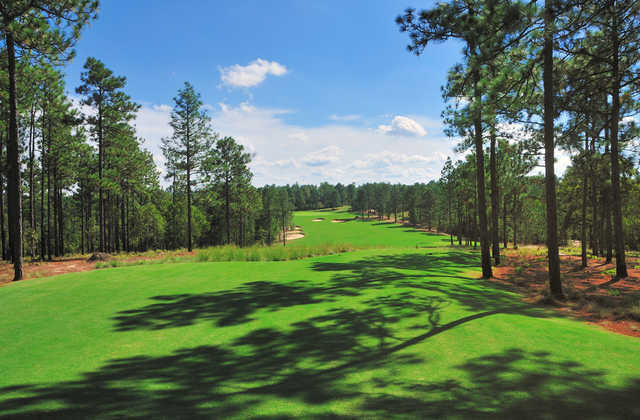 It meanders through a typical Sandhills pine forrest with a couple of good sized ponds/lakes on the property that frankly, Mr's Coore and Crenshaw do very little with. With normal greens fees of $150 for accompanied guests, I felt OK about paying $70, but honestly, $45 would have been a fairer price. 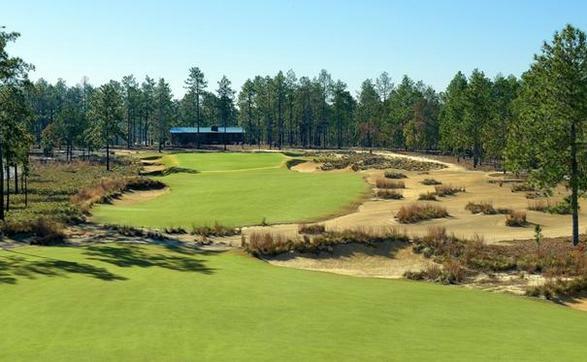 Overall, the course itself is in decent shape for being two years old. But considering how few rounds it gets, I was expecting quite a bit more. Greens are tricked up, but run true. Aside from the "minerature golf" set ups, they were rolling about an 11 on the day we played. The overall "aura" of the Dormie is rustic...and I do mean rustic. The only potable water on the course was at the turn, where free bottled water was available.....along with $8 soggy sandwiches. My friend and I spent some time with the general manager, getting a better feeling for their residential plans. After playing the course, and getting a feeling for the terrain / home settings, all I can say is good luck Bill. Whatever you're smokin, you should be sellin (instead of the $8 soggy sandwiches at the turn). 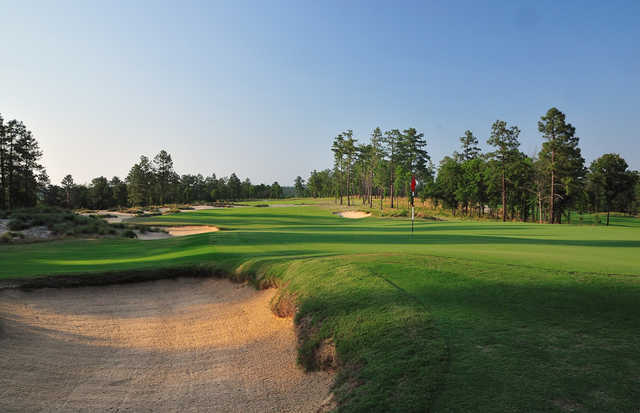 Add a course review for Dormie Club. Edit/Delete course review for Dormie Club.